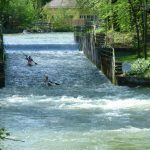 Last weekend, the best quadrathletes met on the little river Křetínka in the small Czech town of Lazinov to take part in the European Middle Distance Championpionship (1.5km swim-40km bike-8km kayak-10km run). Last year, the World Championships took place here over the long distance, which will be held this year in Hanover in two weeks. The Czech Republic, therefore, offered the opportunity to test the athletes’ form for Hannover. Unfortunately, co-favorite Laurent Martinou (FRA) had to cancel at short notice because he is expecting a new addition to his family soon – for this, all the best! In good conditions of about 20 degrees and light clouds (only at the prize giving did it rain a little) the field set off at 10:30. 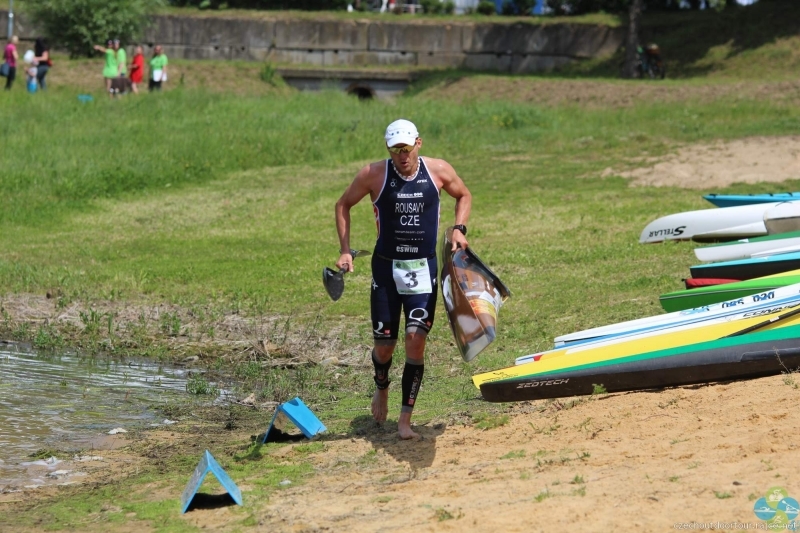 As expected, Tomáš Svoboda (CZE) took the lead and got out of the water 3 minutes ahead of Stefan Teichert (GER). 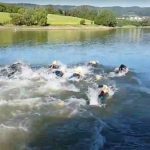 But the Czech was not the fastest swimmer: relay teams were also at the start, of which the fastest for 1500m swimming (including transition) needed just 17:38 min. Svoboda was quick on the four cycling laps – where the going was always up and down on very good tarmac and fully closed roads – but Stefan Teichert was able to catch up to within about 2 minutes. Behind them, a trio were still in contention with Ferenc Csima (HUN), Leoš Roušavý (CZE) and David Kunderer (GER). 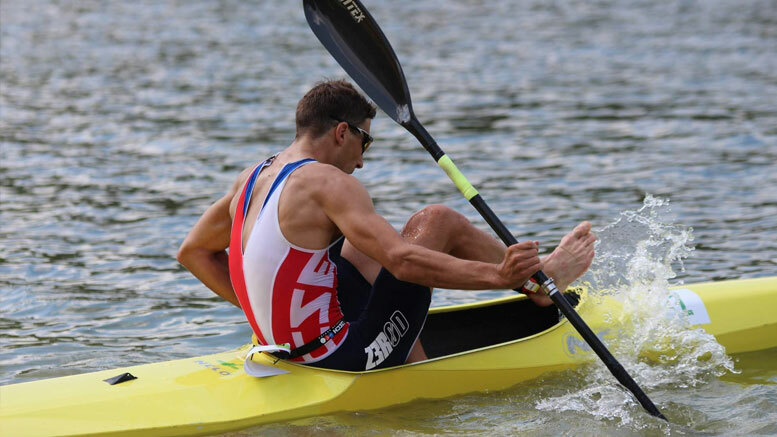 The surprise was, however, when paddling: Svoboda managed the 4th fastest time – although he was not using a racing boat. 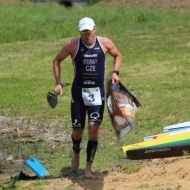 In a class of his own, Ferenc Csima, exited his kayak only about 30 seconds behind the Czech. 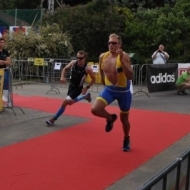 The contest for first place did not last long as Svoboda increased his lead further during the run. 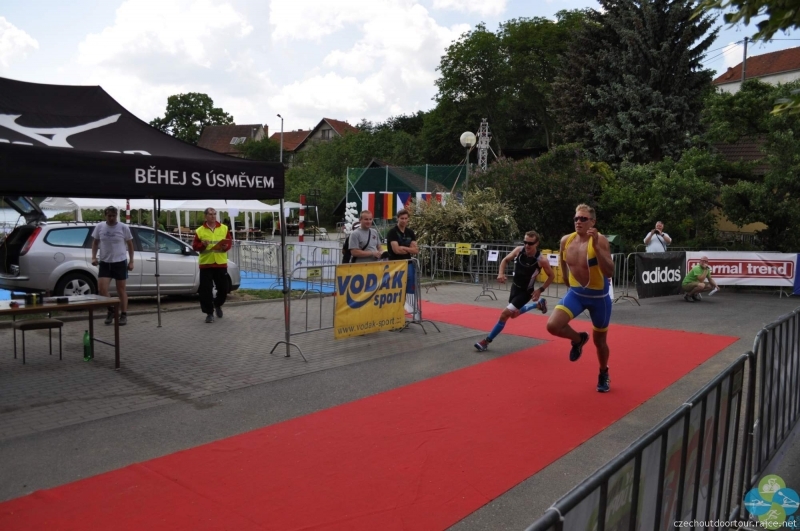 The battle for second place was exciting at least for a few kilometers of the extremely demanding running course, because Stefan Teichert was only about 15 seconds behind the Hungarian as they set off. 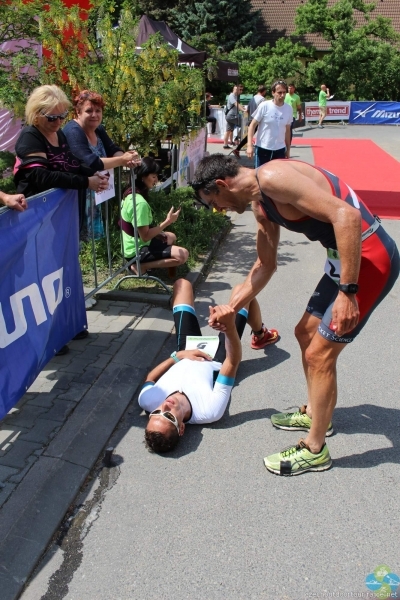 Both athletes struggled, but in the end Csima had more energy and finished in second place. Fourth and fifth places went to Leoš Roušavý and David Kunderer, both of whom were unable to match their best performances. There was a great contest for the next two places, which was also the battle for 1st and 2nd in the U23 category. 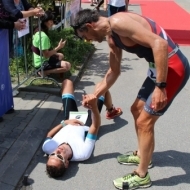 Tibor Lörincz (HUN) and Symon Rekawik ​​(POL) came in together and recorded the same time, but the photo finish gave the decision to the Hungarian. 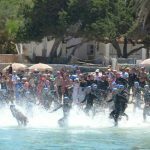 Lisa Teichert continues to dominate the ladies’ list. The German once again led them from the very beginning and was placed 8th among the men. 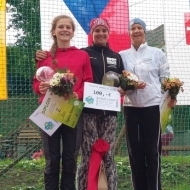 Magdaléna Koberová followed with less than half an hour’s distance, the young Czech putting in a strong performance on her first middle distance race. 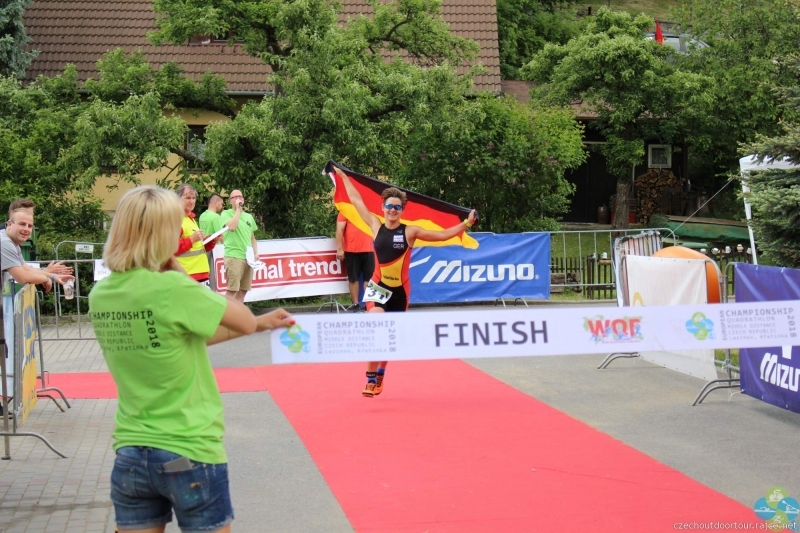 She had to pass the experienced Ellen Mielke (GER) when cycling, but with her second place in the kayak and running sections her 2nd place was secured. 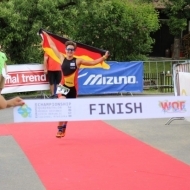 There was great success also for Ellen Mielke (Master 50), who completed the podium positions having left behind numerous younger athletes. 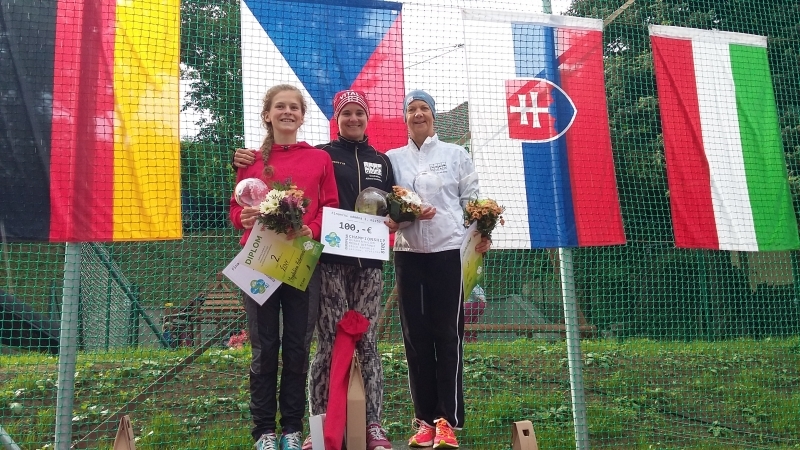 All in all, it was a very well organised event by Pavel Knitl from the Czech Outdoor Tour, where much was well thought out and learned from last year’s event. 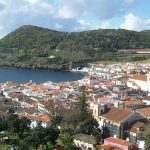 The only criticism was only that early on the running course no refreshments were provided so the fastest athletes had to manage the 10km route without water. After this had been noticed it was quickly corrected, so that the rest of the field some food and drink. 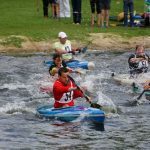 The first World Championship race of this year will be held in two weeks but before then the next World Cup event will be next weekend – in Brigg, England. There are more points to be collected for the overall standings. Amongst others, Leoš Roušavý has entered – so we can look forward to more exciting competitions. 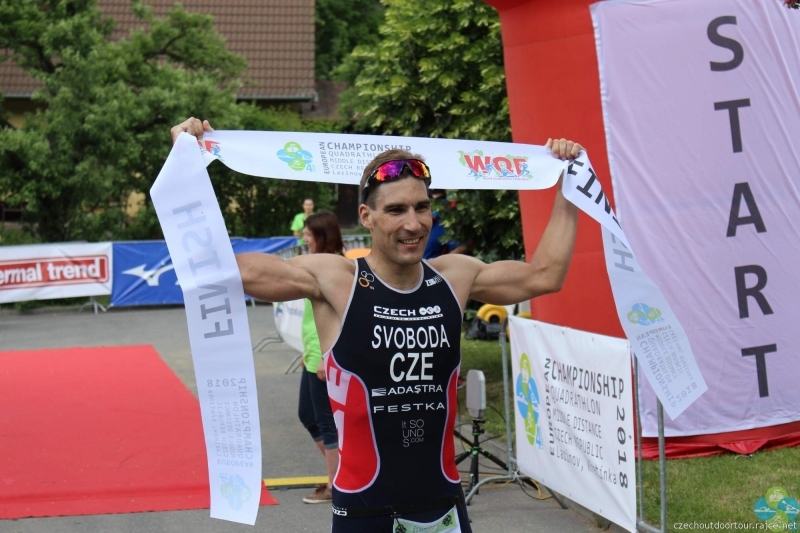 Be the first to comment on "Křetínka: Svoboda and Teichert secure the European title"